We invite you to the Solas Awards Celebration on Thursday, December 6, 2012, at Boston’s John F. Kennedy Presidential Library and Museum. This is a great night out and fun way to kick off the holiday season. All proceeds from the event enable the IIIC to provide critical services that directly impact the lives of more than 2,400 individuals and families throughout the year. This year, we are honoring Kevin Kelley, Chief Executive Officer of Ironshore, Inc.; Dr. Beverly Edgehill, Vice President of Organizational Development, The TJX Companies, Inc. and former President and Chief Executive Officer of the Partnership, Inc.; and Vincent J. Ryan, President, Chief Executive Officer and Chairman, Schooner Capital, LLC, whose successful careers have been matched by their equally impressive commitment to giving back. We recognize these three for their leadership in business, philanthropy and personal development that crosses racial, ethnic, and cultural lines. 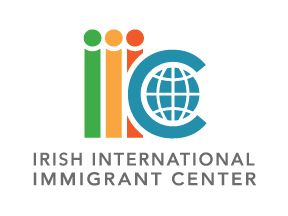 The IIIC helps immigrants from Ireland and from all over the world with their legal , and to advocate for respect, dignity, equal opportunities and protections for all. Please contact Mary Kerr to reserve your seats. We hope you can join us.